⬅ Where Do You Dwell? They weren’t asking for my opinion – lovingly encouraging me to speak up. They were commenting on the… um… directness or candor with which I had just expressed myself. I’ve been through many heart-rending, heart-humbling experiences to become the gentle, soft-spoken, diplomatic person a lot of people think I am. The kind of person that I aspire to be. But I also know that in one sense, I’ll always be a “tell-it-like-it-is” kind of girl, because that’s who God made me. I’m all about keeping it real – and that’s one of the things I love about the Psalms. The Psalmist keeps it real, when he pours out his heart to God – his hurts and heartaches. His anger and frustration. His depression and discouragement. His guilt. His pain. He’s honest about the times he’s failed, but he also wants to be vindicated when he’s been betrayed, lied to or about, falsely accused. He’s not blind to the injustice or wickedness or evil in this world –and how it seems to triumph sometimes or go unpunished. He doesn’t plaster a plastic smile on his face all the time or pretend to live in a lofty spiritual plane where nothing disturbs his peace. He doesn’t always feel God’s presence or comfort or strength or help. And he’s not afraid to tell God what he really thinks about it. He keeps it real about the good stuff, too. He remembers all the times he HAS felt comforted and strengthened by God’s presence, His love, His salvation. He remembers all the good things God has done for him and for His people through the centuries… sometimes generally and sometimes very specifically, recalling particular instances and events. He celebrates all the victories God gives him. He rejoices in God’s protection and provision — in big ways and small ways. He sees how often God does intervene and does reward the faithful and does vindicate the righteous. He praises the life-giving wisdom God has provided for us in His Word. 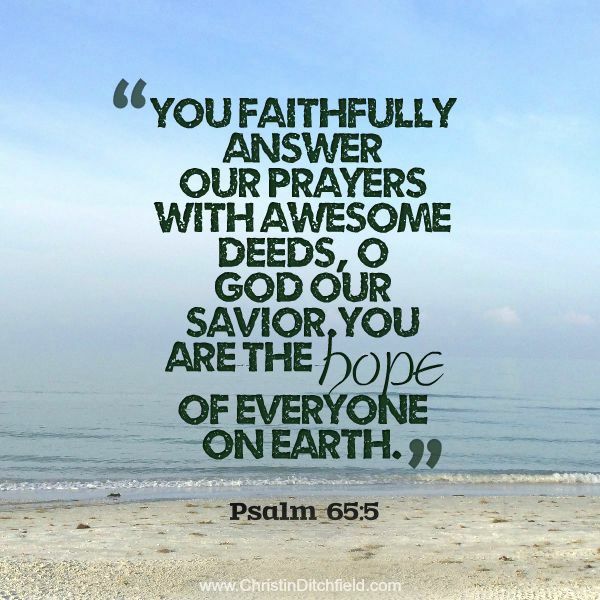 The Psalmist describes all the attributes of God –all the things we know about who He is and what He’s like – what He does. His heart toward us. He names God his Rock, Refuge, Shield, his Strength and his Song, his Good Shepherd. He recites all the ways God has been there for him in the past and how God has promised to be there for him now and in the future. He continually tells his heart and soul to be still. Wait patiently. Have hope. Look up. Keep an eternal perspective. All of this, too, is keeping it real. Reading the Psalms this summer, I’m reminded I want to do better about keeping it real in EVERY sense, in every way. Especially this one. 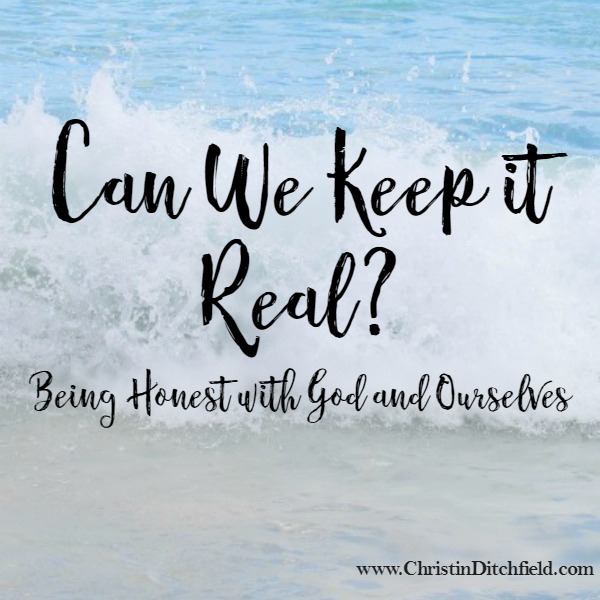 1) Does it come naturally to you to “keep it real” with God and with others — or is it harder for you to be honest about what you think or feel? Whatever your answer, why do you think this is? Is it your personality / temperament? Your upbringing? Past experiences? Messages you’ve received from our (church) culture or society? How do you feel when the Psalmist gets real — or when other people do? Spend some time journaling about this or talking it through in your head or with a friend. 2) Try writing your own Psalm — a psalm of lament or praise and thanksgiving, or a psalm that records your spiritual journey. Originally the psalms were written to be sung — which is why they’re in verse. And in the original language, some of them rhyme, some have repeating refrains, some are actually acrostics (the first line of each verse starts with a different alphabet letter). Use whatever form you like! This week’s verse is Psalm 91:2 NLT ~ It’s on the graphic in Monday’s post and on our VBS Pinterest board. SPECIAL VBS GIVEAWAY: If you’re a Virtual VBS Participant and you’ve signed up for our emails, you’ll be getting a message in a couple of hours with instructions on how to enter our extra-special Virtual VBS giveaway. 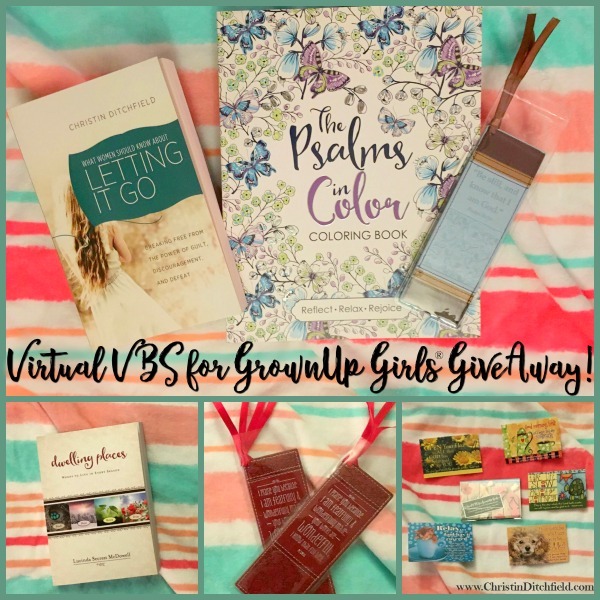 You could win a Psalms coloring book, a copy of my latest book, What Women Should Know About Letting It Go, this week’s guest poster Lucinda Secrest McDowell’s book Dwelling Places, a Psalms bookmark… all kinds of goodies!